E2-6 Elvira Industries had the following transactions. 1. Borrowed $5,000 from the bank by signing a note. 2. Paid $2,500 cash for a computer. 3. Purchased $450 of supplies on account. 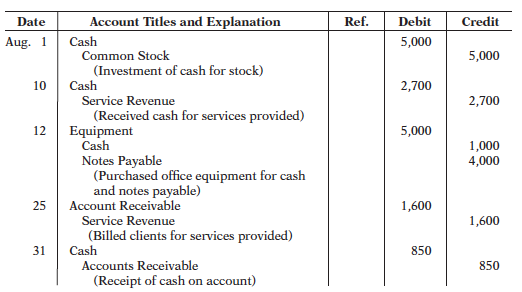 (a) Indicate what accounts are increased and decreased by each transaction. 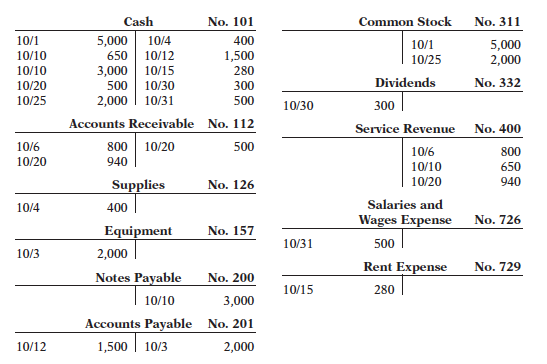 E2-11 Presented below is the ledger for Sparks Co.
20, and provide explanations for each. balance at October 31, 2014. Kara Shin, Inc., the following events and transactions occurred. 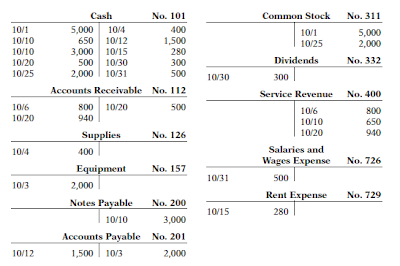 (b) Post to the ledger accounts. (c) Prepare a trial balance on May 31, 2014.